The ways in which climatic variation modifies population demography has been a long-standing theme of research in animal ecology , but increasing concern about global climate change has added a strong impetus to research on this topic. Clearly, there is an urgent need to understand how faunal populations respond to shifts in specific climatic variables – including changes both in long-term average values, and in the frequency of extreme weather events. The latter becomes especially relevant as the World Meteorological Organisation predicts that extreme weather events are on the rise as a result of anthropogenic global warming. In large areas of the Australian continent, climate is dominated by the effects of the El Niño-Southern Oscillation with irregular periodicity and low predictability. Hence, prolonged and severe droughts are common over much of the continent, punctuated by intervals of heavy rain. However, during recent years Australia has experienced numerous extreme climatic events clearly linked to ongoing global climate change. 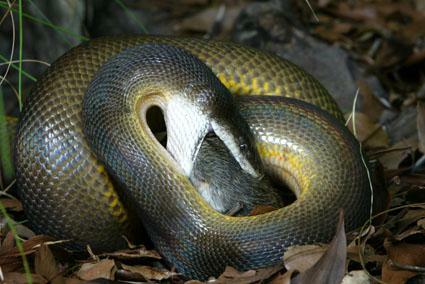 Since 1989 we have been studying the populations demography of predators, water pythons (Liasis fuscus), and their main prey, the dusky rat (Rattus colletti) on the Adelaide River floodplain, situated approximately 60km southeast of Darwin in the Top End of the Northern Territory of Australia. The data generated from our long-term field studies clearly demonstrate the dramatic impact of extreme climatic events on both dusky rat and water python population demography. 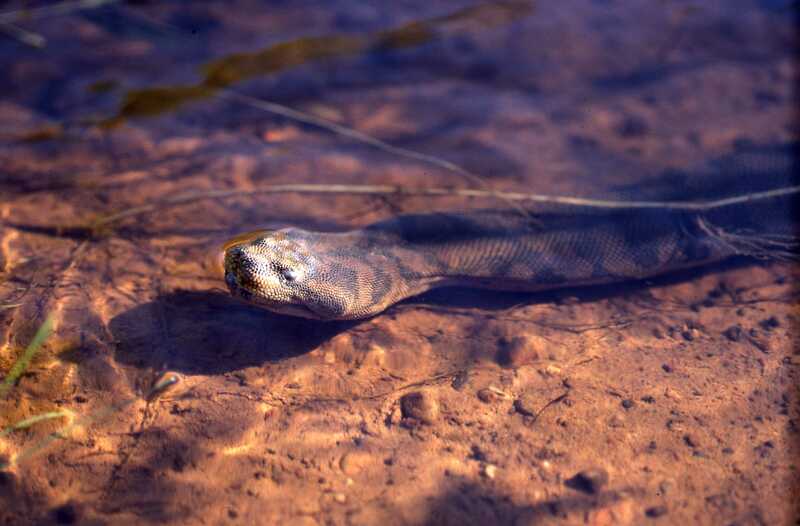 Our research on aquatic file snake (Acrochordus arafurae) and their prey (fish) in the same area has also demonstrated significant impact of extreme weather events on aquatic ecosystems. 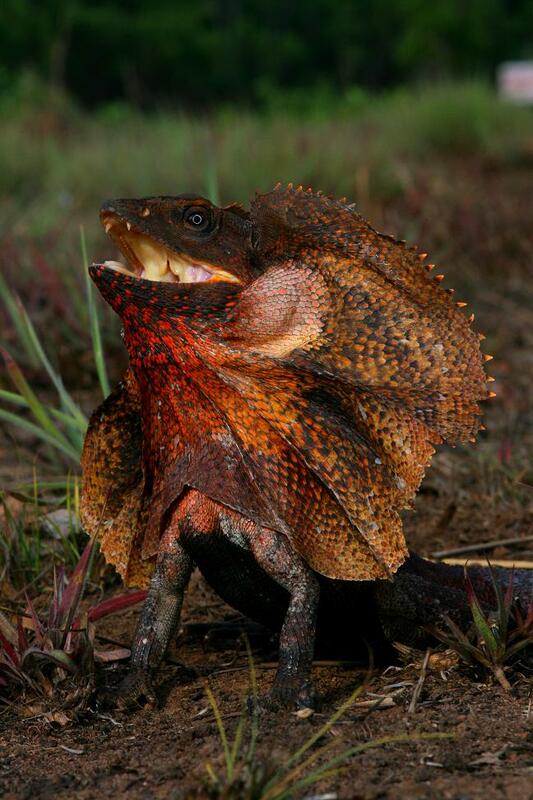 Since 2003 we have also been studying the impact of climate change on the population demography of frillneck lizards (Chlamydosaurus kingii) in the Top End of Australia. Unfortunately, similar to water pythons and file snakes our data clearly shows that ongoing climate change may imperil the long-term survival of this iconic lizard. 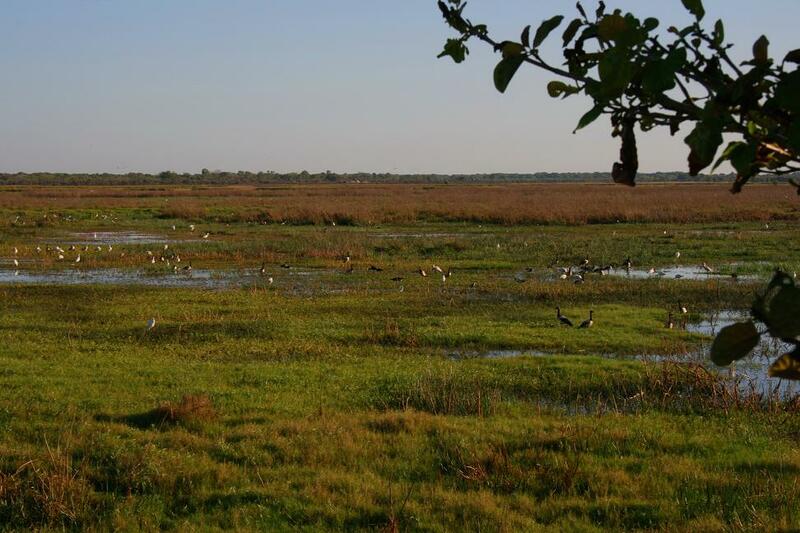 Finally, our work has also shown that the Adelaide River floodplain ranks among the most productive habitats in the world, and hence is in urgent need of future protection.